American culture warriors have plenty to argue about, but battles over such issues as abortion and torture have as much to do with rhetorical style as moral substance. Cathleen Kaveny reframes the debate about religion in the public square by focusing on a powerful stream of religious discourse in American political speech: the Biblical rhetoric of prophetic indictment. Throughout American history, reformers of all political persuasions and for all manner of causes—abolitionists, defenders of slavery, prohibitionists, and civil rights leaders—have echoed the thundering condemnations of the Hebrew prophets in decrying what they see as social evils. Rooted in the denunciations of Puritan sermons, prophetic rhetoric has evolved to match the politics of an increasingly pluralistic society. To employ prophetic indictment in political speech is to claim to speak from a position of unassailable authority—whether God, reason, or common sense—in order to accuse opponents of violating a fundamental law. The fiery rhetoric of prophetic indictment operates very differently from the cooler language of practical deliberation and policy analysis. Kaveny contends that prophetic indictment is a form of “moral chemotherapy”: it can be strong medicine against moral cancers threatening the body politic, but administered injudiciously, it can do more harm than good. Kaveny draws upon a wide array of sources to develop criteria for the constructive use of prophetic indictment. In modern times, Martin Luther King Jr. exemplifies the use of prophetic rhetoric to facilitate reform and reconciliation rather than revenge. Revising dominant accounts of Puritanism and challenging the literary history of sentimentalism, Sympathetic Puritans argues that a Calvinist theology of sympathy shaped the politics, religion, rhetoric, and literature of early New England. Scholars have often understood and presented sentimentalism as a direct challenge to stern and stoic Puritan forebears; the standard history traces a cult of sensibility back to moral sense philosophy and the Scottish Enlightenment, not Puritan New England. Abram C. Van Engen has unearthed pervasive evidence of sympathy in a large archive of Puritan sermons, treatises, tracts, poems, journals, histories, and captivity narratives. 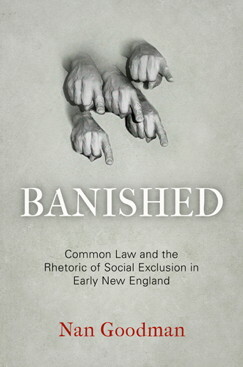 He demonstrates how two types of sympathy — the active command to fellow-feel (a duty), as well as the passive sign that could indicate salvation (a discovery) — permeated Puritan society and came to define the very boundaries of English culture, affecting conceptions of community, relations with Native Americans, and the development of American literature. Van Engen re-examines the Antinomian Controversy, conversion narratives, transatlantic relations, Puritan missions, Mary Rowlandson’s captivity narrative — and Puritan culture more generally — through the lens of sympathy. Demonstrating and explicating a Calvinist theology of sympathy in seventeenth-century New England, the book reveals the religious history of a concept that has previously been associated with more secular roots. Peter Mazzacano (Osgoode Hall Law School — York University) has posted, “Puritanism, Godliness, and Political Development in Boston and the General Court (1630-1640).” The abstract follows. The goal of this article is to examine the degree to which Puritanism influenced early American political culture. That is, how did Puritan values and practices facilitate the development of an exceptional political culture during the formative years of Massachusetts Bay? Utilizing a case-study method of analysis, this article examines the political developments in the General Court and the town of Boston during the decade 1630 to 1640. The research methods used are primarily the writings of leading Puritans, and concomitant town, church, and colonial records. The main finding is that the Puritans paid little heed to notions of democracy, theocracy, oligarchy, or British political traditions; instead, Puritan institutions and practices were based on the primary Puritan ideal of godliness. 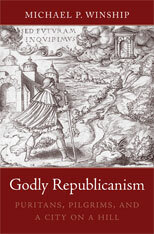 However, the formative influence of the godly ideal inadvertently reinforced democratic and republican ideals. The conclusion is that the focus on godliness provides a comprehensive and multiple explanations for the course of political developments in early Massachusetts Bay. From Penguin, a new biography of Roger Williams, Roger Williams and The Creation of the American Soul (2012), by John M. Barry. Barry usefully situates Williams in the legal and political struggles of Jacobean and Caroline England — I did not know, for example, that Williams once served as an apprentice to Sir Edward Coke, the famous Chief Justice of the King’s Bench, and thought of Coke as a surrogate father — and follows him to Massachusetts, from which his fellow Puritans banished him when he denied civil government’s authority to punish offenses against God. Barry discusses the evolution of Williams’s ideas about church and state, including his most famous contribution, the metaphor of the “wall of Separation between the Garden of the Church and the Wildernes of the world.” The publisher’s description follows. For four hundred years, Americans have wrestled with and fought over two concepts that define the nature of the nation: the proper relation between church and state and between a free individual and the state. These debates began with the extraordinary thought and struggles of Roger Williams, who had an unparalleled understanding of the conflict between a government that justified itself by “reason of state”-i.e. national security-and its perceived “will of God” and the “ancient rights and liberties” of individuals.